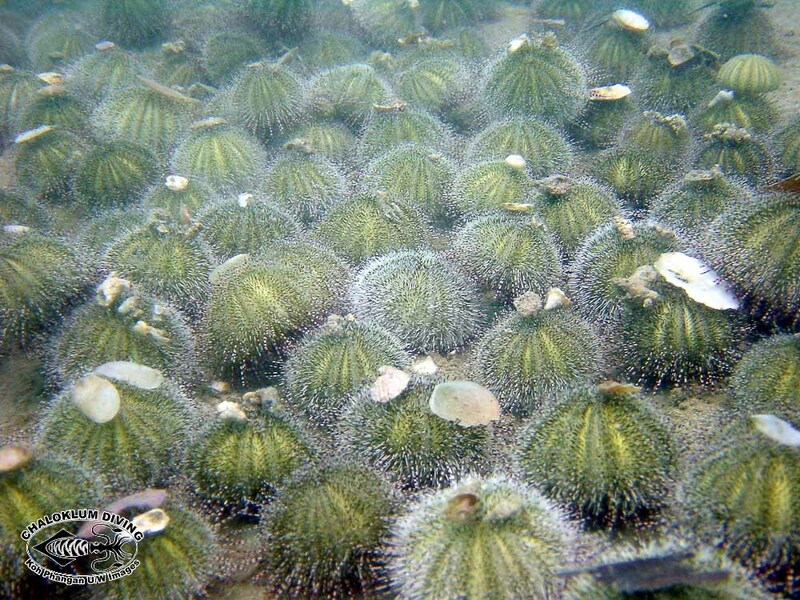 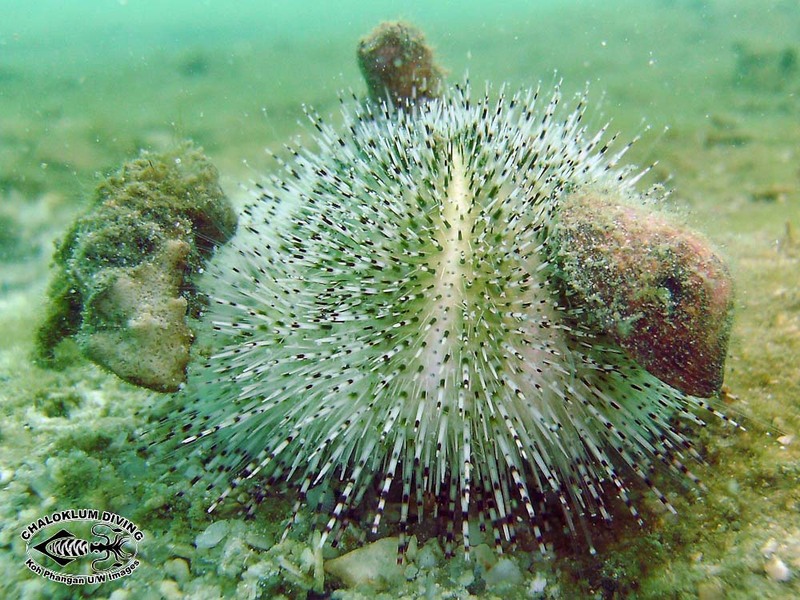 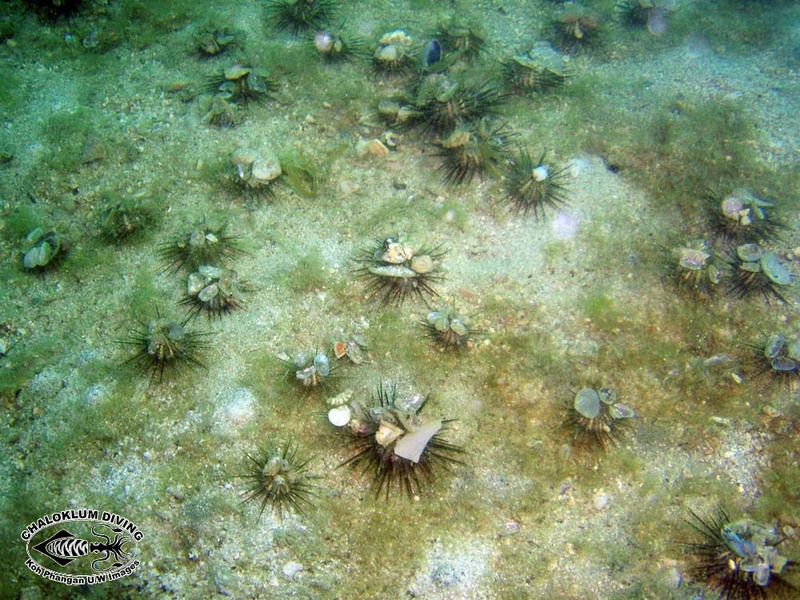 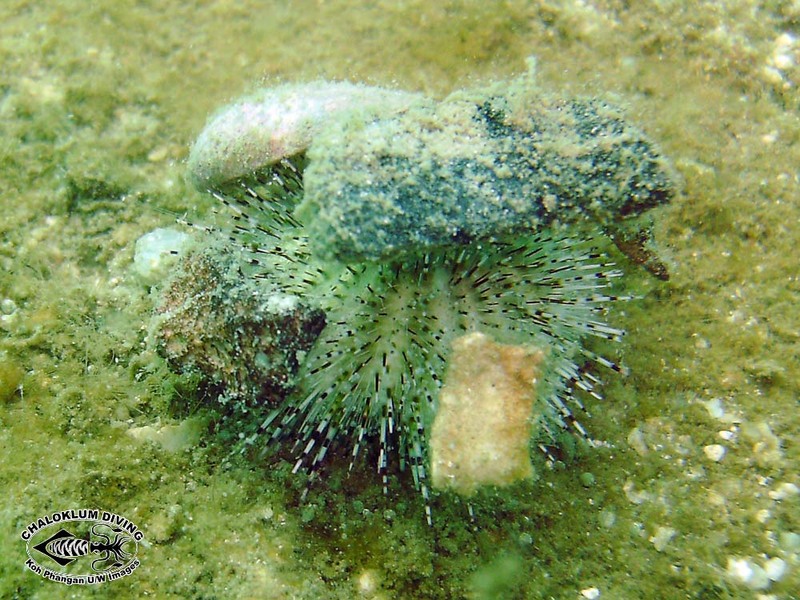 The Green Sea Urchin is seen mainly on scuba dives in Chaloklum Bay, with a distinctive green colouration and fine spines. 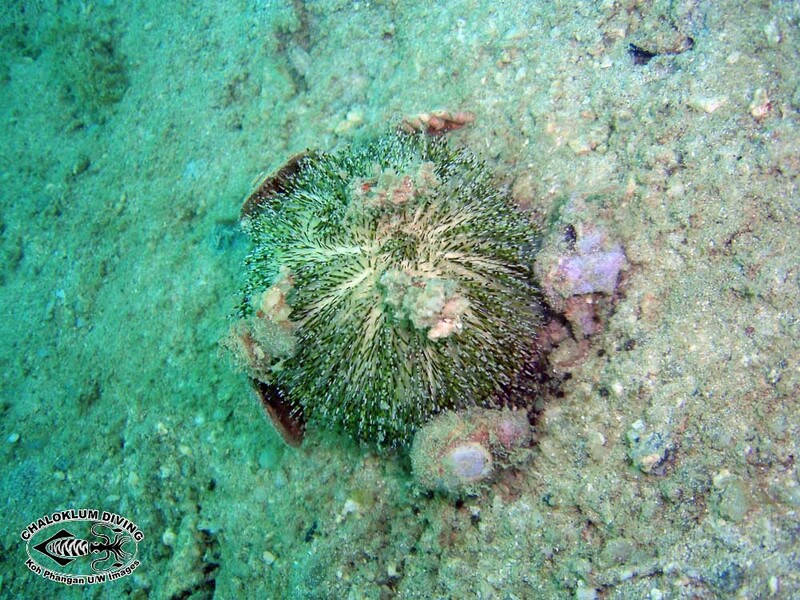 It sometimes attaches things to itself as camouflage or protection, like the Flower Urchin Toxopneustes pileolus. 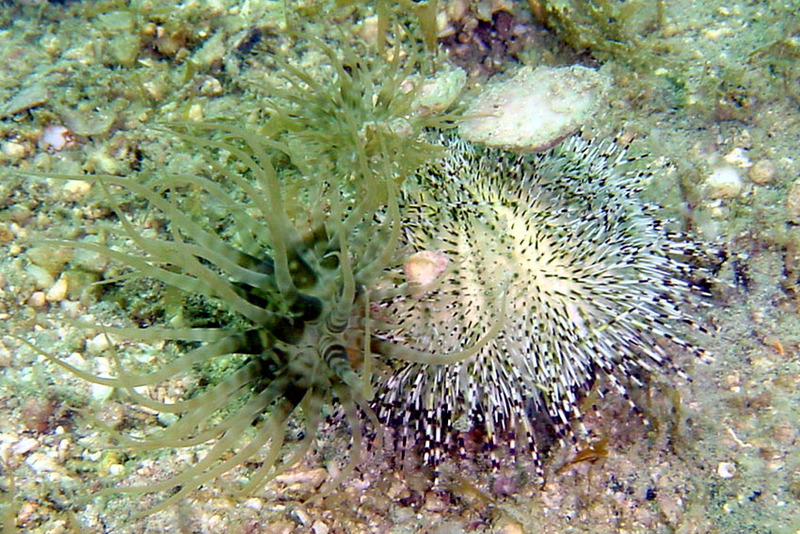 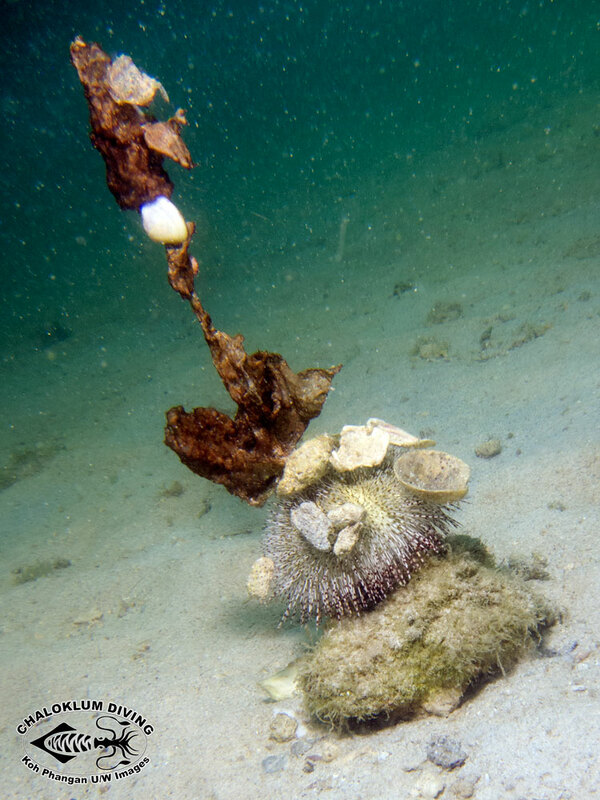 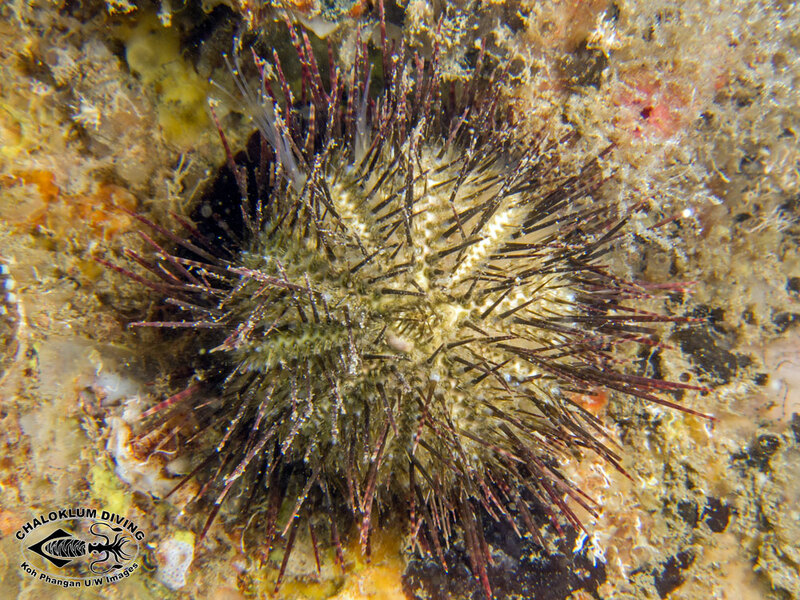 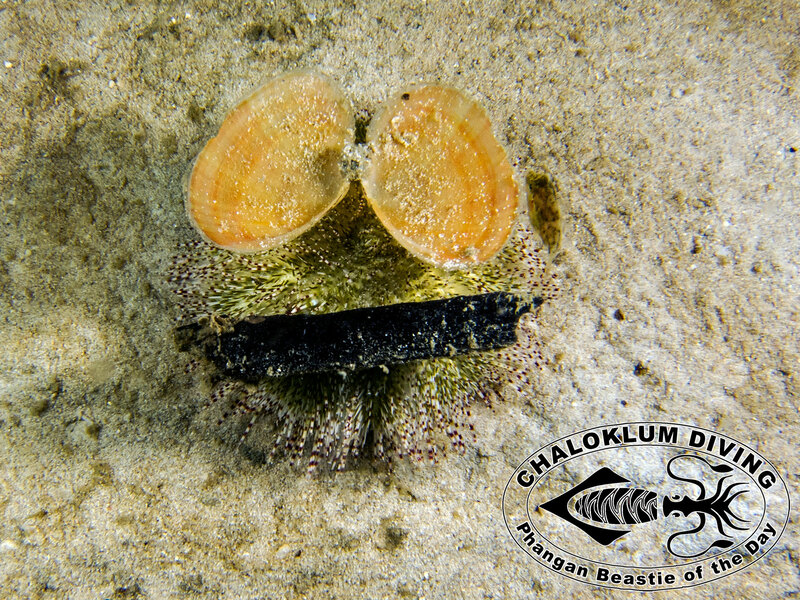 We wrongly identified this urchin previously as Pachycentrotus bajulus.